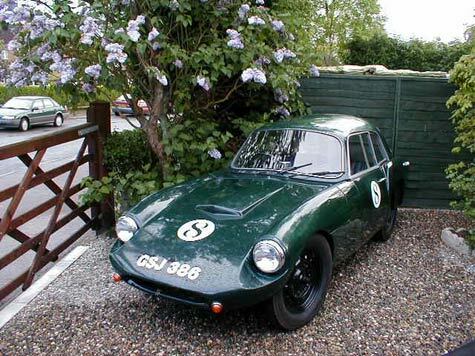 In 1954 Peter Pellandine began tinkering with Austin Sevens behind his home and soon started experimenting with glass fibre bodies. Partnered by Keith Waddington premises were found at Loughton in Epping Forest and Ashley Laminates was born. The first production body was a simple open two seater to fit the 6'9" A7 chassis. Late 1958 saw the new style 1172 shells produced to fit the 7'6" Ford chassis. This design formed the basic shell until the end of the company in 1963. The 1172 shape developed in form and sophistication over the years; from simple roadster, optional detachable hardtop, fixed head coupé, Sportiva front, built in wheel arches, built in floors and bulkheads, double weather sealed door openings, longer doors and many other improvements were built in over the years.